Many New Yorkers think going solar is not worth the effort; either it is too expensive, too difficult, or not a real reduction to their carbon footprint. These are myths. The time for solar energy is now and Long Island solar company, Grid City Electric, has the facts to help you say goodbye to your electric bills for good. Myth #1: Solar in New York is too expensive. New York is committed to renewable energy and has one of the top-rated solar industries in the United States. 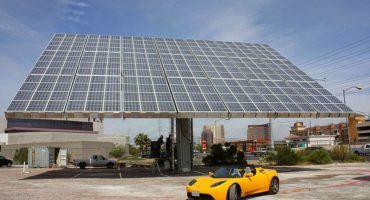 There are many options to offset the cost of solar, including rebates and tax incentives available through both the federal and state government as well as utility programs. Plus, if you finance through your home equity or second mortgage, you also get to benefit from a tax write off on the interest. Myth #2: The upfront expense is too prohibitive. Financing and utilizing tax assessments, a popular and growing option, requires little to zero out of pocket money. Similarly, a second home mortgage or government energy efficient mortgage also has little upfront costs. Myth #3: Solar energy systems will get cheaper, so I might as well wait. While it’s true that improvements in technology and competition are making solar panels more affordable, subsidies are becoming less generous. However, New York State has the best rebates and incentives in the country, therefore, the price remains about the same. Electric rates as well as demand for electricity continue to rise. Solar power allows you to reduce utility costs and lock in low rates for years to come. From day one, you start to save money on your electric bill – and your savings can grow annually. Myth #4: Making solar panels causes more pollution than the clean energy they produce. That is not true. A study by the U.S. Department of Energy shows that, depending on your solar panels, the energy payback is one to four years. Solar panels usually last 25 years, so solar manufacturing is very green. In addition, if you buy American made panels, it reduces carbon emissions from transport; something to consider when choosing your new solar panels. Ready for a Hassle Free Estimate? Myth #5: Solar panels harm the environment when they have outlived their use. The average life of a panel is 25 years and most manufacturers will recycle them at the end of their use. According to a recent study by International Renewable Energy Agency (IRENA), solar panel recycling is expected to soar, and end-of-life recycling can actually help finance future growth. Myth #6: Solar panels will look ugly on my roof. There are a variety of panels to choose from to satisfy your personal aesthetic, including some that look just like regular roofs or shingles. Costs and styles vary, giving you options to select what is right for your home; even the more expensive options should pay for themselves during their lifetime. No matter what they look like, any solar panel system can raise the value of your home. Myth #7: Solar is hard to maintain. Solar panels are designed for the elements and can withstand hail, sleet, and snow. If you buy a solar power system that is connected to your utility, as most electric systems are, your solar panels are easy to maintain; just clean them off with water periodically to remove dust, debris, or snow. Grid connected systems without batteries are the least expensive and most common for homeowners and businesses. Battery based systems on the other hand, will require more attention and expense, although they do provide backup energy systems to protect you during power outages. In addition, Grid City Electric will monitor your system and you can easily do so as well on your desktop or iOS and Android devices. Myth #8: Solar does not work when it’s cloudy, cold, or rainy. Solar panels like sun, but not heat, so cold climates can actually make the solar panels even more efficient. In cloudy or rainy climates, the panels still work although the amount of energy produced might be reduced and therefore require more supplemental utility power. However, with a typical life span of 25 years or more, the savings are still incredibly significant. Myth #9: My roof isn’t pitched so I can’t go solar. Solar panels can be installed on just about any roof. Grid City Electric offers customizable solar installation options for a number of roof types. 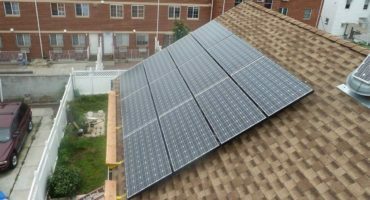 While the average solar installation company has a blanketed program only ready to offer to pitched roofs, we have been installing flat roof solar panel systems for several years throughout the New York metro area. Myth #10: I was told my house is not suited for solar. You should get a free site evaluation from a local solar expert, such as Grid City Electric, to determine the viability of solar for your home. We’re your neighbors, we’ve been here, and we have years of experience installing solar power systems for homes and businesses throughout Long Island and the five boroughs. Are you planning to go solar? Request your FREE solar energy estimate today: Please fill out Grid City Electric’s secure form, and we’ll quickly set up a time to provide you with a free solar evaluation. Or call us at 718.785.9243. Solar Power saves a lot of money on electric bills. Federal and State rebate and financing programs make a solar investment simple and affordable. Residential Solar is a long term investment which involves Zero or little out of pocket with savings on day one. A Solar investment will increase the value of a home by thousands of dollars for every Kw installed on the roof. It all starts with a phone call to our friendly solar energy consultants. During the initial phone call, some basic questions will be asked to see what programs and incentives you qualify for. We will explain how solar works, what it costs, the process, and how much you can save in your unique situation. The whole process is hassle free from A-Z. There is absolutely no cost for our estimates or the time we spend educating you on our programs or on solar in general. Grid City Electric does not behave like a mega conglomerate looking to pillage the market place with a team of consultants, algorithms and shareholders. We are Human. When you call, our staff will know who you are and the specifics of your account. No long hold times. No lengthy questionnaires. No 50 page contracts. You are people, and so are we. Our employees could be your parents, or your recently graduated college kids who live here just like you and that is why we will treat you like family when you call. If you have any questions or comments, please feel free to send us a message. We are super energetic and love to help people understand how incredible their renewable energy savings options are. Don’t delay, call or message us today.